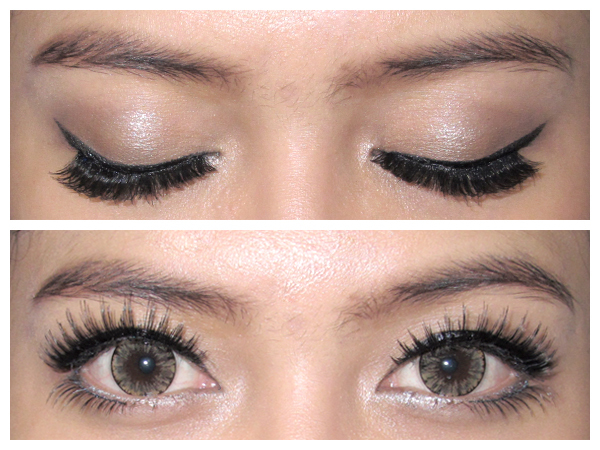 Today I want to share my review of these "Cetar Membahana" lashes.. XD Yupp!! 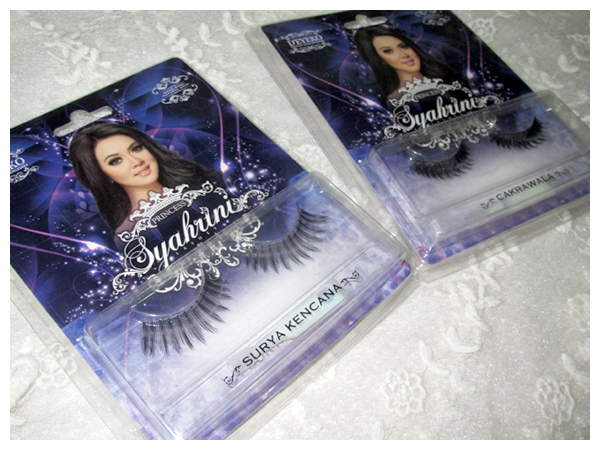 D'EYEKO, one of the biggest false lashes company collaborates with the famous Indonesian singer, Syahrini to create these premium lashes series. Syahrini is very famous with her unique words, her funny instagram hashtags ^^ and her bold lashes. I heard that she always wear more than a layer of lashes, that's why her eyes always look wide open "Anti Badai" like that (I don't know if it's true or not =P). I'm so excited to give these lashes a try!! Hoho.. Here they are.. The packaging is quite good. It reflects personality of the brand and the ambassador: Premium and Glamorous. This series is designed by Syahrini herself. It is 100% handmade! So we don't have to worry about the quality since it is made by the expert. 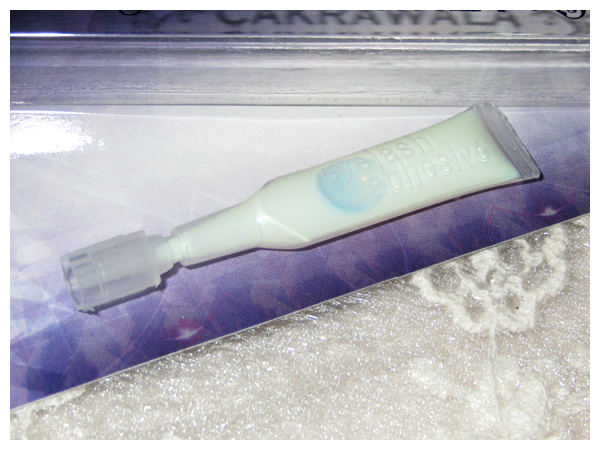 It also comes with a white glue which will becomes clear after it getting dry. 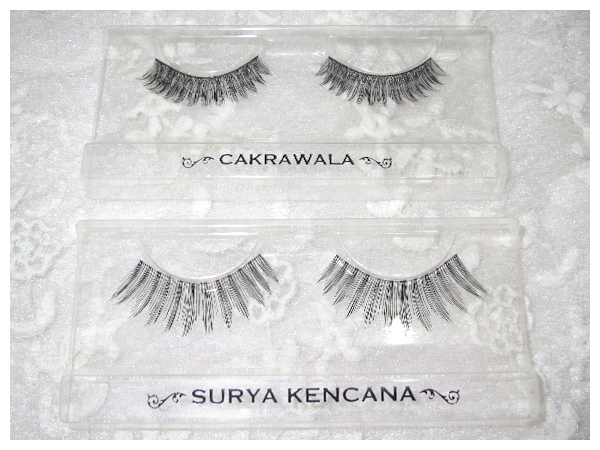 These lashes made of human hair. It looks neat & natural. It consists of long thin hair with transparent band. It's very light and natural! It is nice to wear for everyday wide-eyed look. Yes, it looks too bold on me. I look like a drag queen, ready to perform on the stage XD My eyes can't stop blinking because it's so heavy!! Haha.. So I prefer to wear each of them alone. Anyway, as bonus, I also make this video. 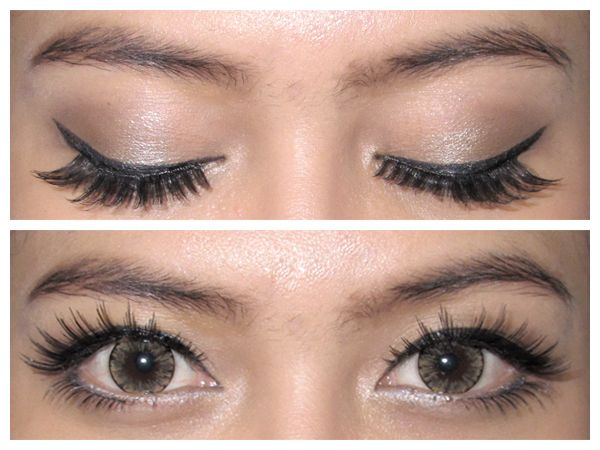 I hope it is useful for you who want to learn how to apply your own false lashes. Enjoy! Don't forget to change quality to 360p.